[map] [bird's eye] [street view] In Orange Grove, co-located with WXYK-FM, WUJM-FM and WROA-AM. 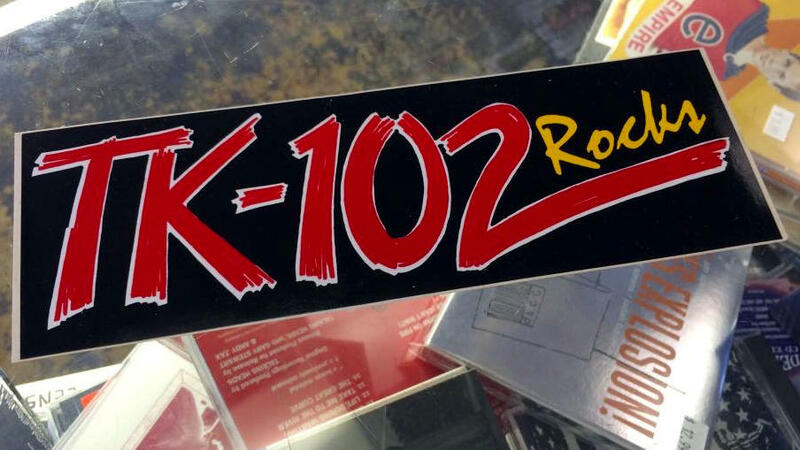 [Picture] Picture of a bumper sticker from the station's days as rocker "TK 102". 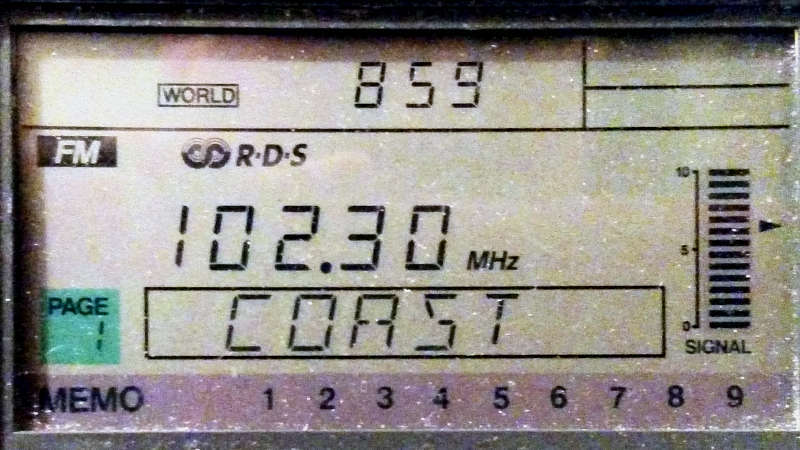 [Image] Image of the RDS data on an Insignia HD portable, showing the PI (call sign) and Radio Text fields. [Image] Image of the RDS data on a Radio Shack DX-398 portable, showing the PS (station name) field. The history of this station goes all the way back to 1949, when WGCM Broadcasting Company, operators of 1240 AM WGCM in Gulfport, attempted to put an FM signal on the air at 101.5 MHz, with 3 kW of power, from their AM site on 22nd Street in Gulfport, but it never got put on air as far as anyone can tell. In 1967, E. O. Roden and first applied for a new FM signal on 102.3 MHz, licensed to Gulfport. The station, once granted, was authorized 3 kW ERP from a 290 foot broadcast tower located at the studio site, 2200 15th Avenue in Gulfport. (Today, the concrete pad where the studio once stood is still visible, and the tower has been repurposed for two-way and cellular communications antennas.) The station came on the air in the summer of 1970 as WTAM, companion to WGCM on the AM dial. It's not known what the format was for the first few years, but by the early 70's it was the market's only black-oriented station. In the mid-80's, the black format migrated to the AM side and the FM flipped to country. In 1987 the station was sold to Holt Communications, Corp. and they dropped the black programming completely and simulcast the AM and FM with the country music format. The station was sold again in 1989, to EJM Broadcasting. They flipped the AM from country to nostalgia, and the FM from rock to oldies. They also put the original WGCM calls back on the AM, and brought them to this FM station in January of 1990. 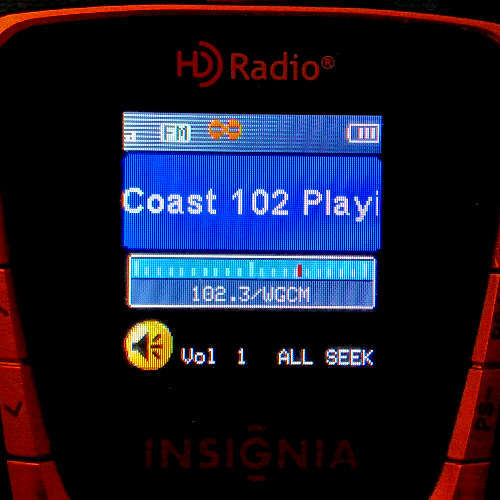 From this point forward, the station's been oldies or classic hits, always as "Coast 102".